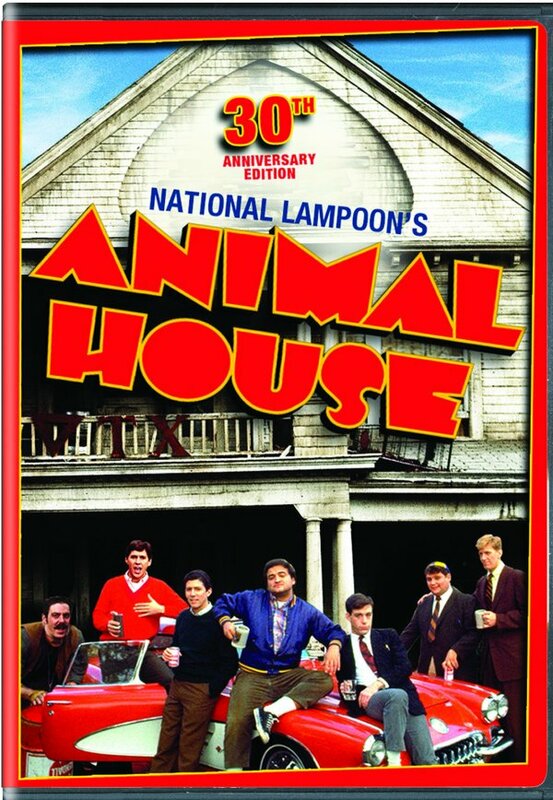 In 1978, John Landis directed what is likely the father of all “raunch comedies,” Animal House. The movie was co-written by Harold Ramis and featured early work by John Belushi, Tim Matheson, Peter Riegert, Karen Allen, Kevin Bacon, and Thomas Hulce. 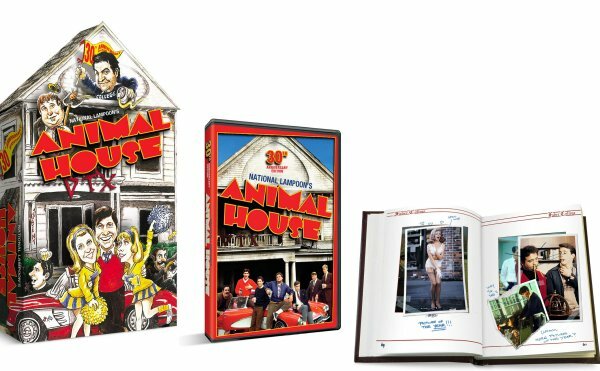 In honor of its 30th Anniversary, Animal House is getting a commemorative DVD release on October 28th. The 30th Anniversary edition will come in two forms. The first is a 2-disc set with a featurette called “Yearbook: An Animal House Reunion.” The extra includes interviews with director John Landis, producers Ivan Reitman and Matty Simmons, composer Elmer Bernstein, writers Chris Miller and Harold Ramis, cast members Tim Matheson, Karen Allen, Stephen Furst, Peter Riegert, Kevin Bacon, and John Vernon, plus behind-the-scenes footage and clips with John Belushi. There is also “Where are they Now” featurette held over from a previous DVD release. Finally, you get two new “Scene-It” mini-games to test your knowledge of Animal House trivia. There is also a DVD Gift Set that includes all of the above bonus features plus “National Lampoon’s Animal House: The Inside Story.” This is a new 98 minute documentary that also includes interviews with many of the participants and a trip to the University of Oregon where the film was shot. The Gift Set also includes a commemorative yearbook and comes packaged in a commemorative Delta House box. The cover art for both the regular and Gift Set editions are shown below.